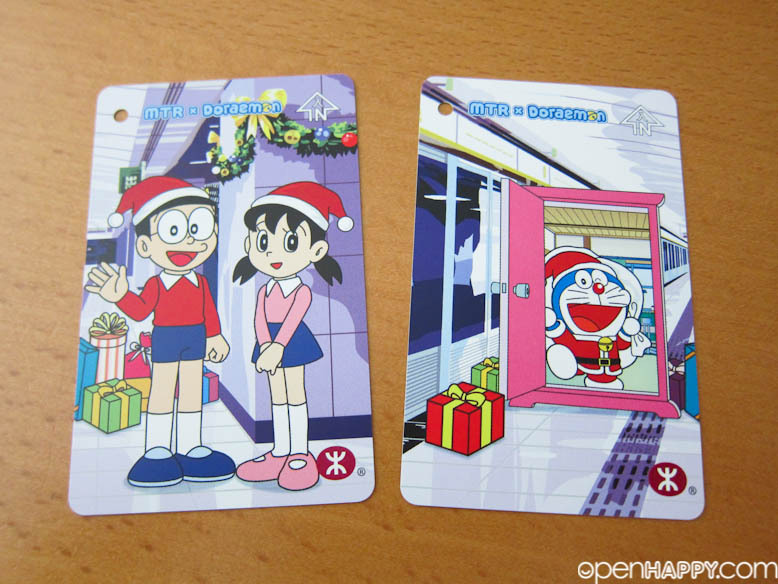 This year, well, 2011, the well-loved Doraemon and his best friends, including Nobita and Shizuka, will come to the MTR and bring you a warm Christmas. 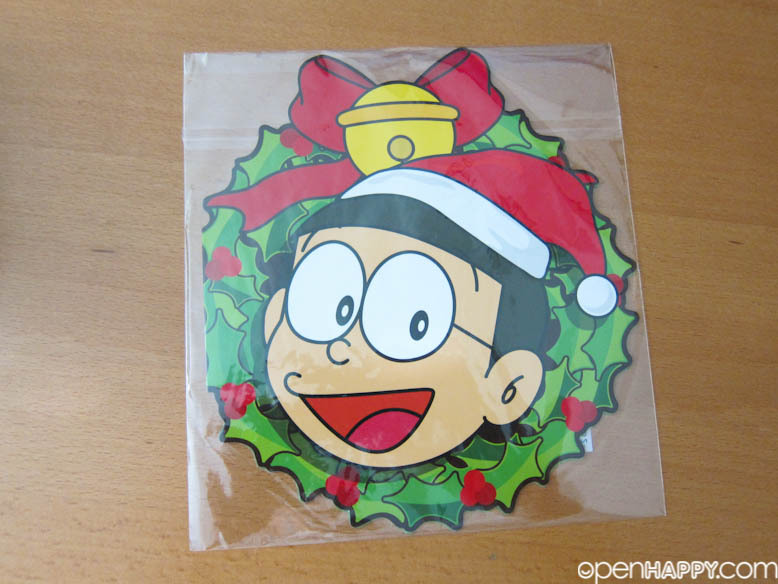 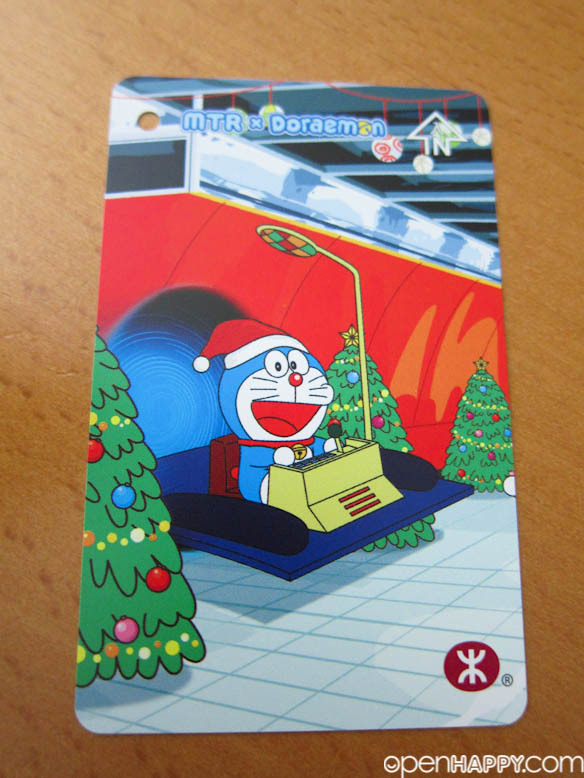 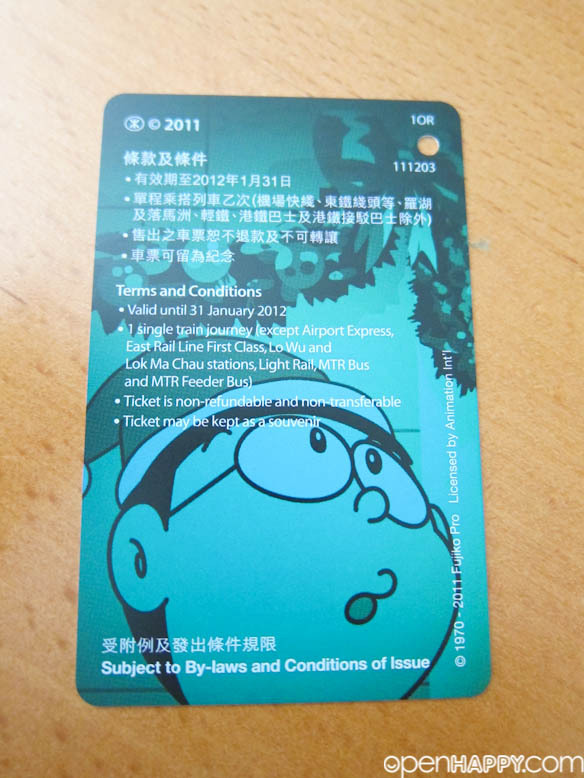 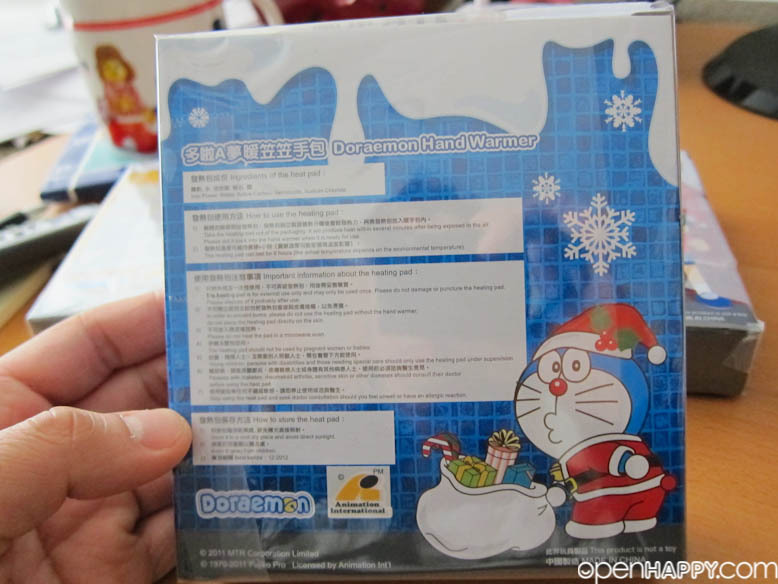 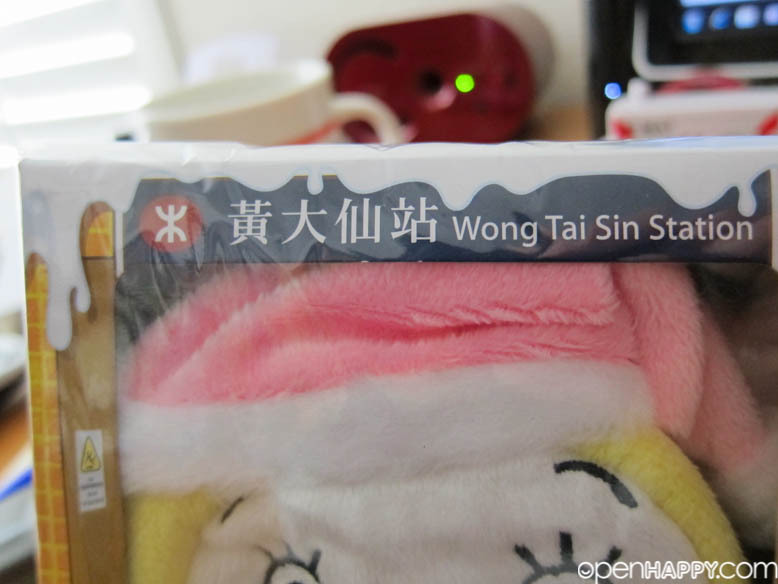 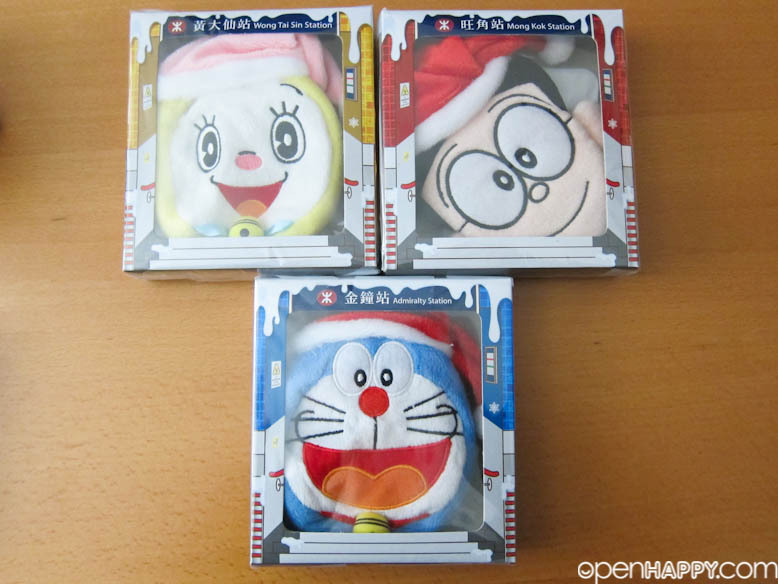 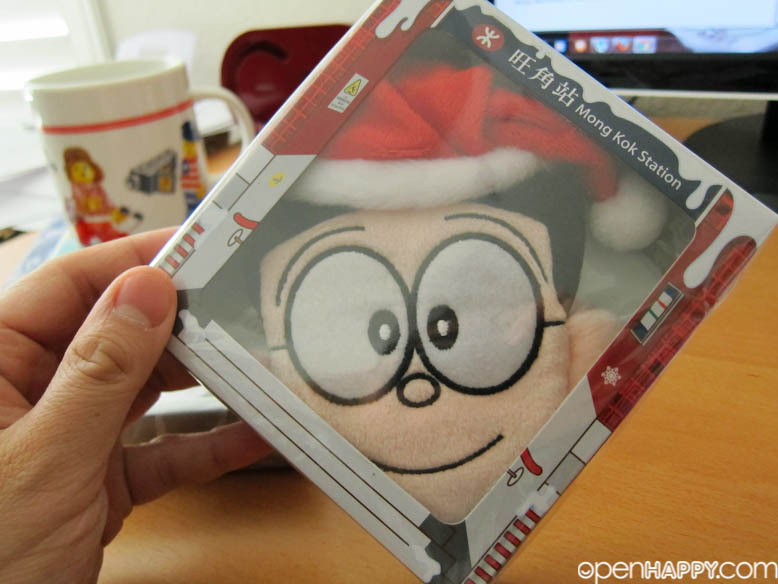 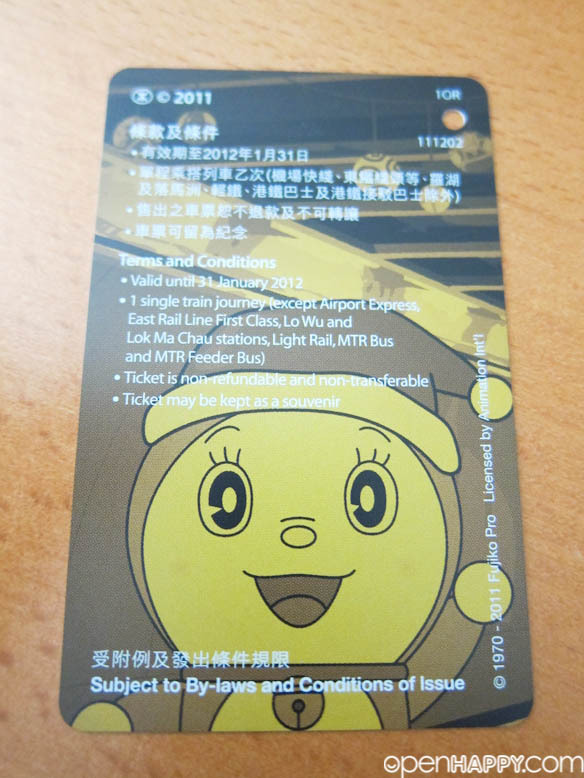 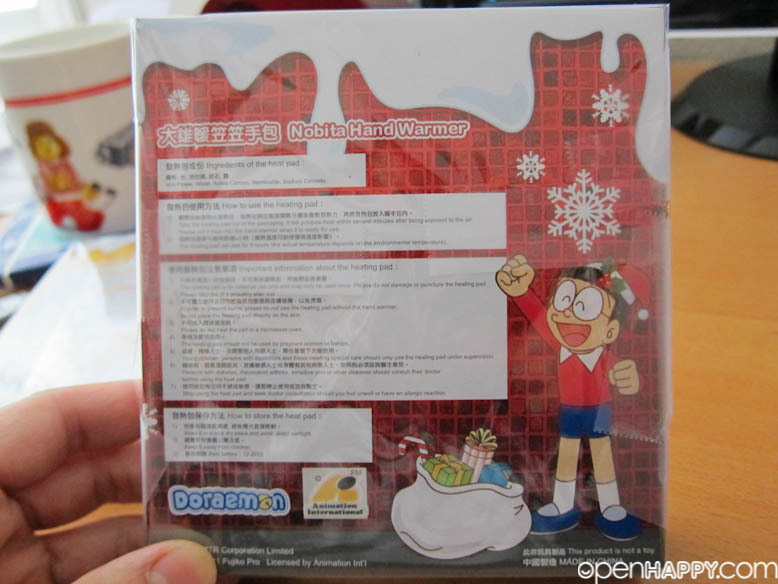 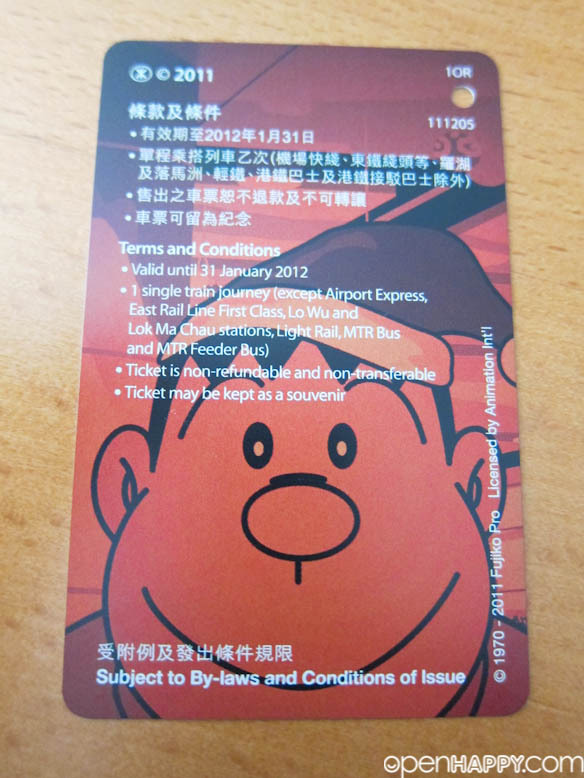 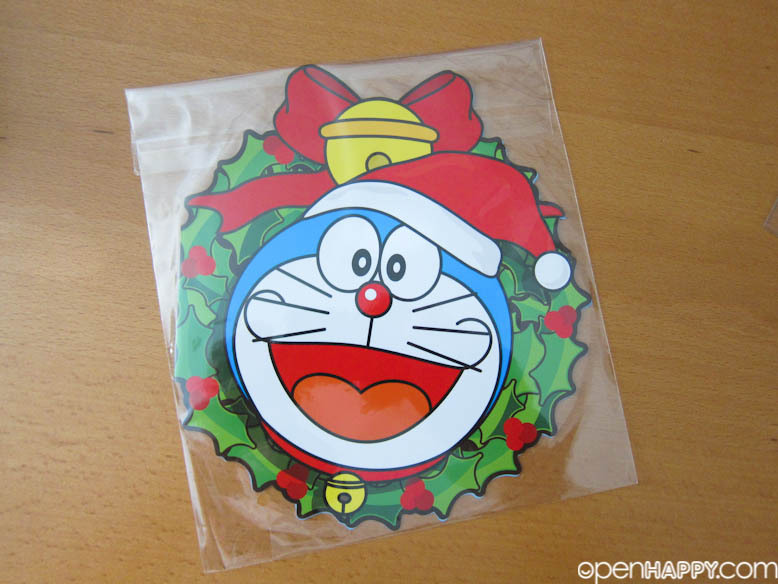 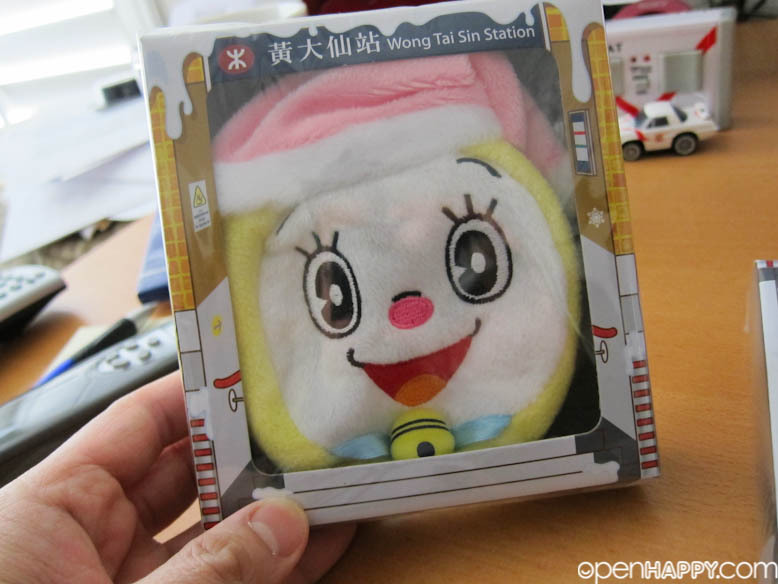 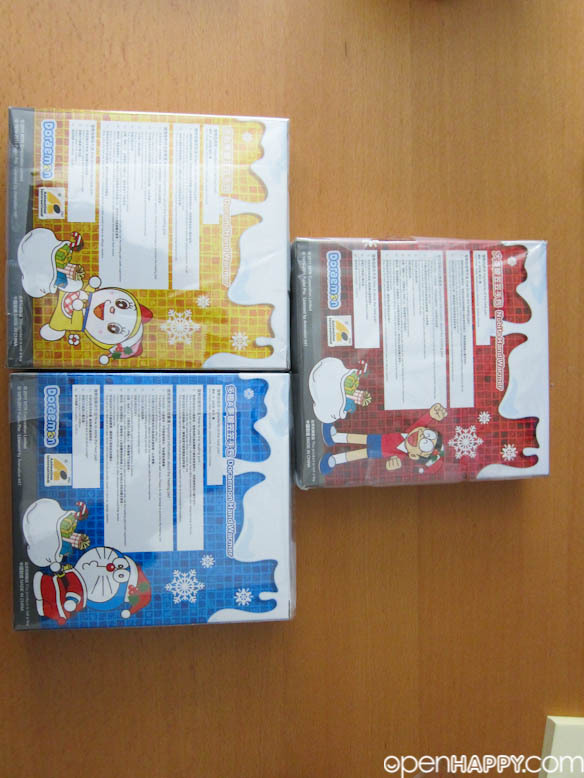 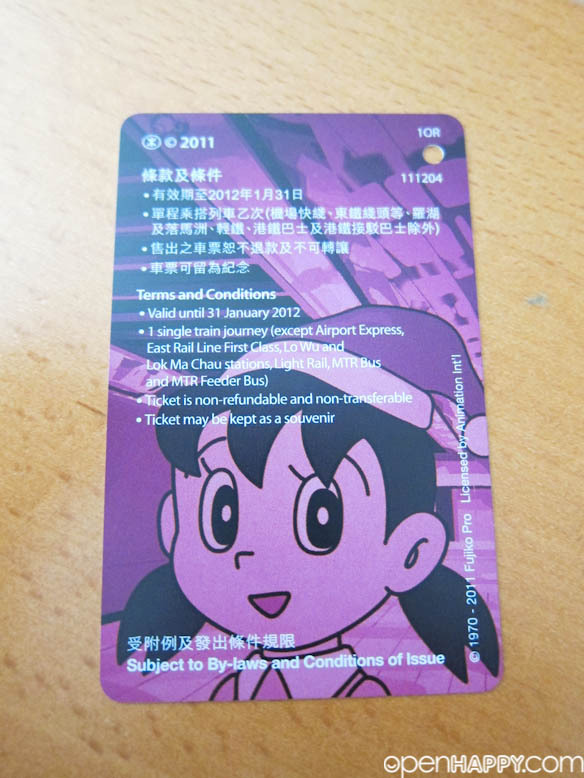 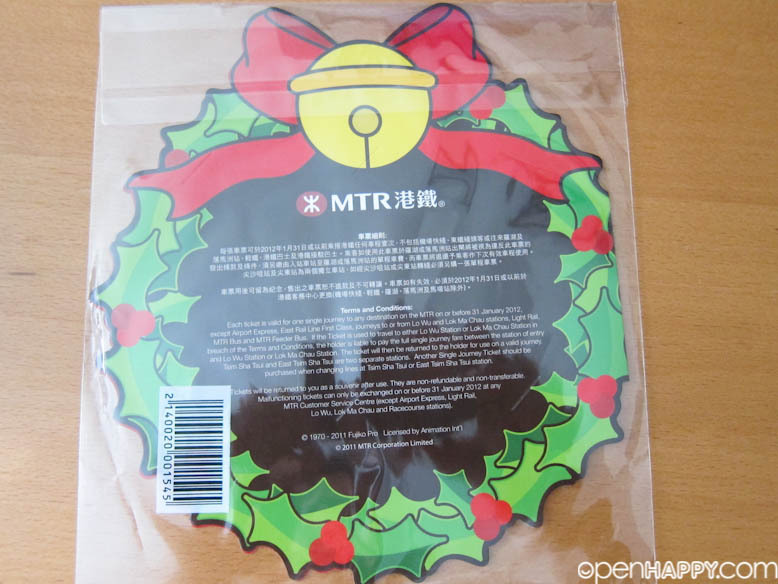 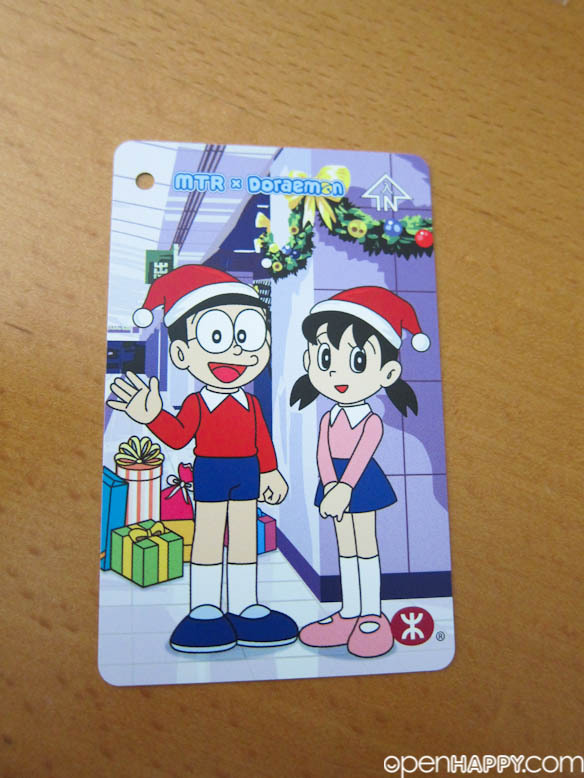 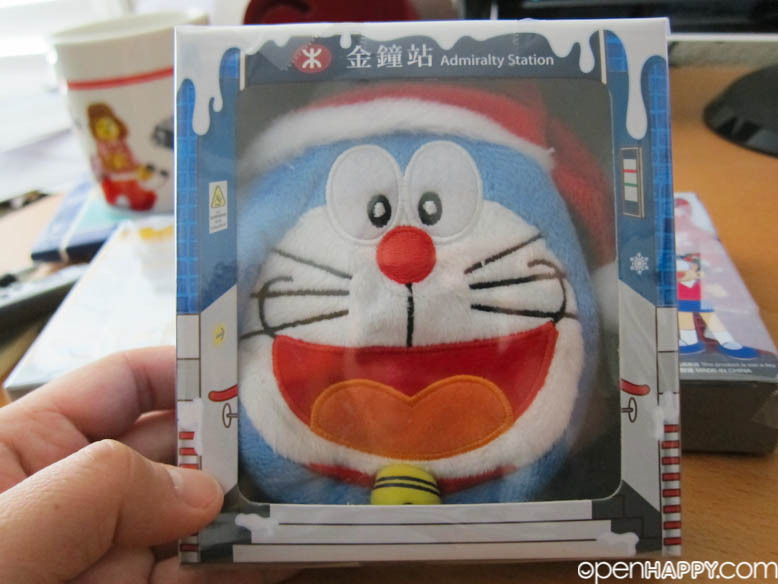 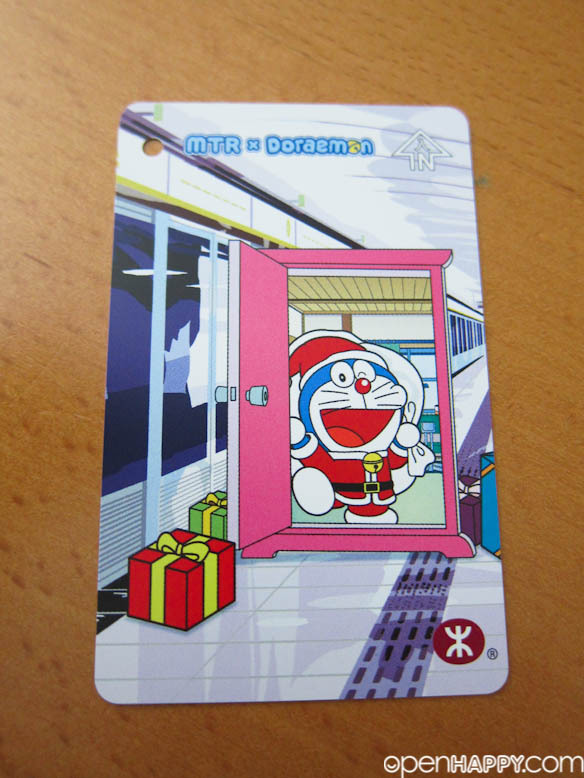 In the three consecutive weeks starting from 4 December 2011, MTR will launch three sets of limited edition Doraemon Christmas Souvenir Tickets. 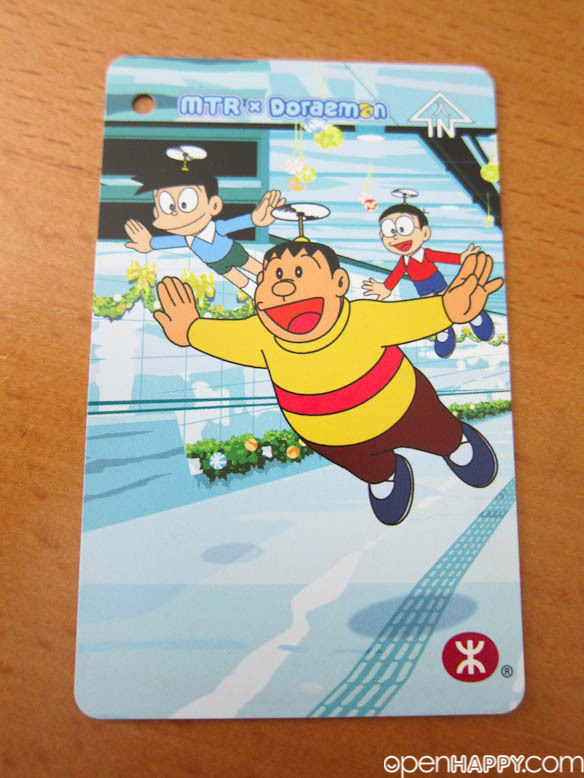 The series will include "Time Machine", "Dokodemo Door" and "Take-copter". 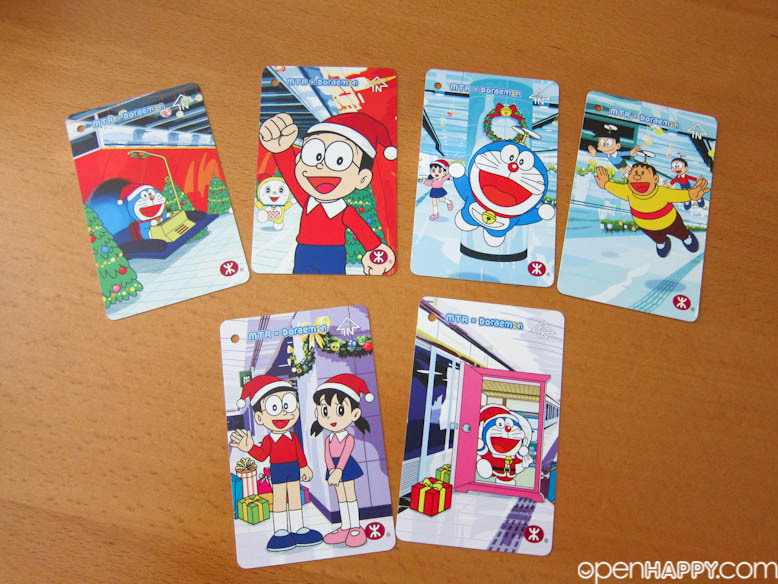 Each set comes with two specially designed MTR souvenir tickets1 featuring the popular characters of Doraemon using their futuristic gadgets, a ticket holder and a limited edition hand warmer. 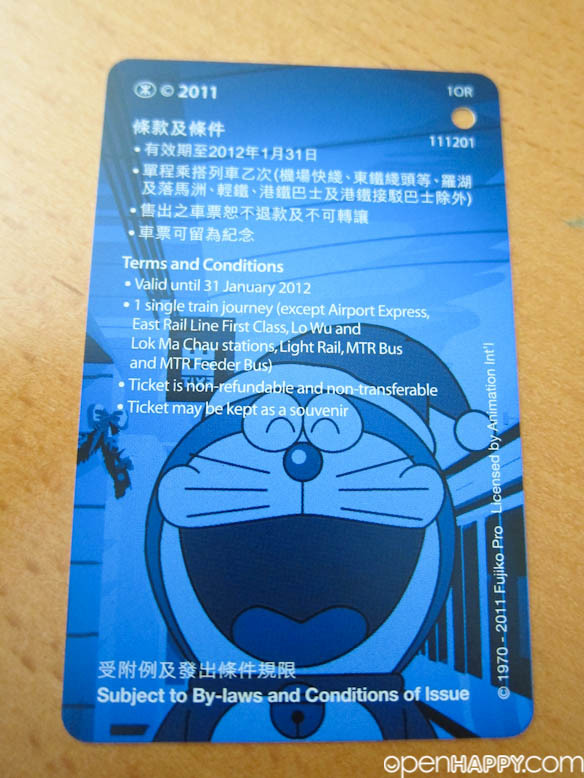 Priced at HK$95 each, the ticket sets will be available for sale at all MTR Customer Service Centres2 (unpaid area). 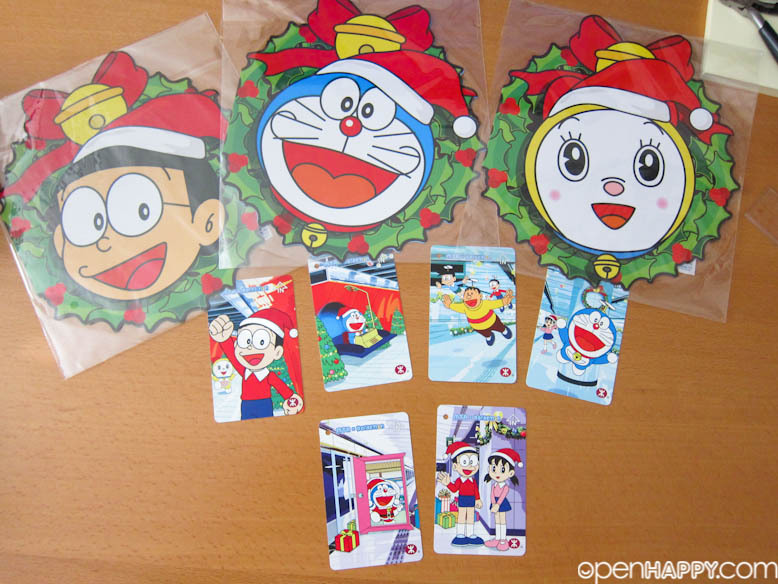 Each person is limited to two sets per purchase while stock lasts. 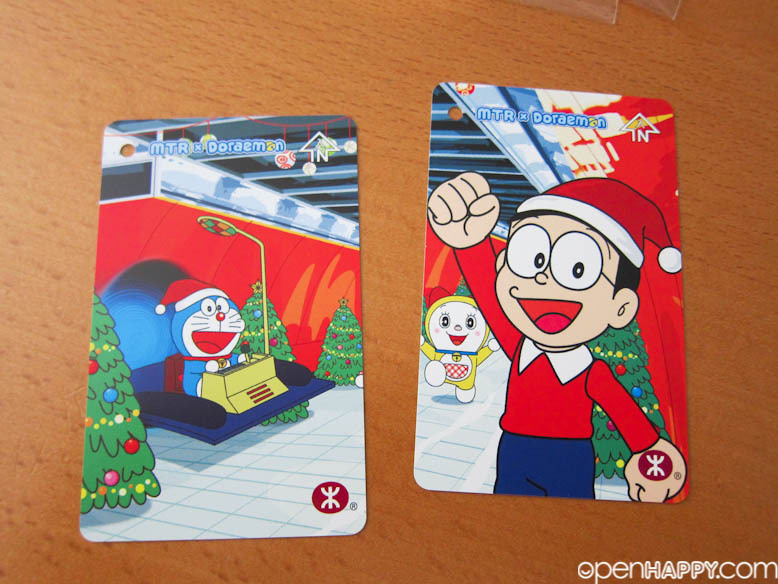 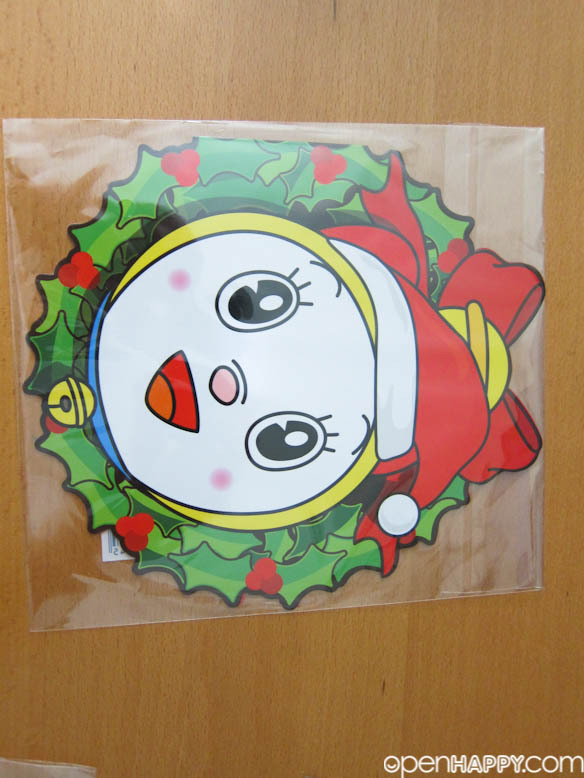 In addition, the stations of North Point, Tai Koo, Po Lam, Kwai Fong, Mei Foo and Jordon will be decorated with super-sized Doraemon and best friends Christmas wall stickers from 18 November to 30 December. 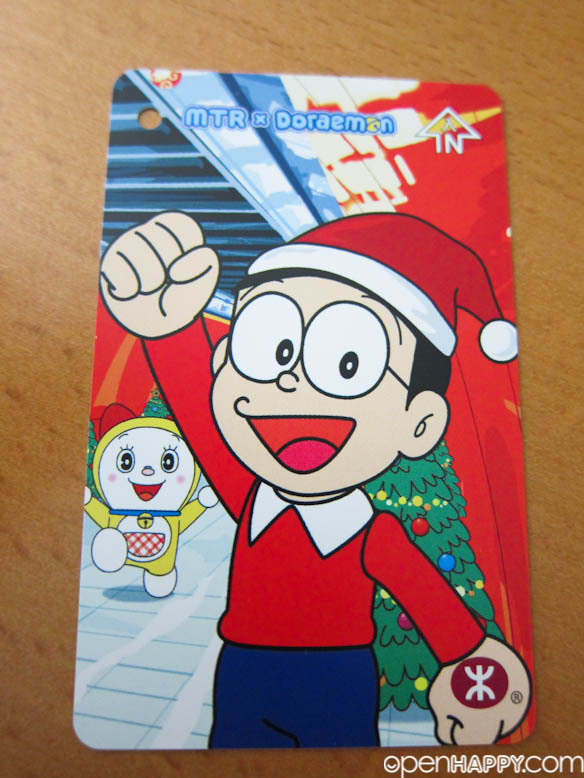 Don't miss the chance to spend a happy holiday with them! 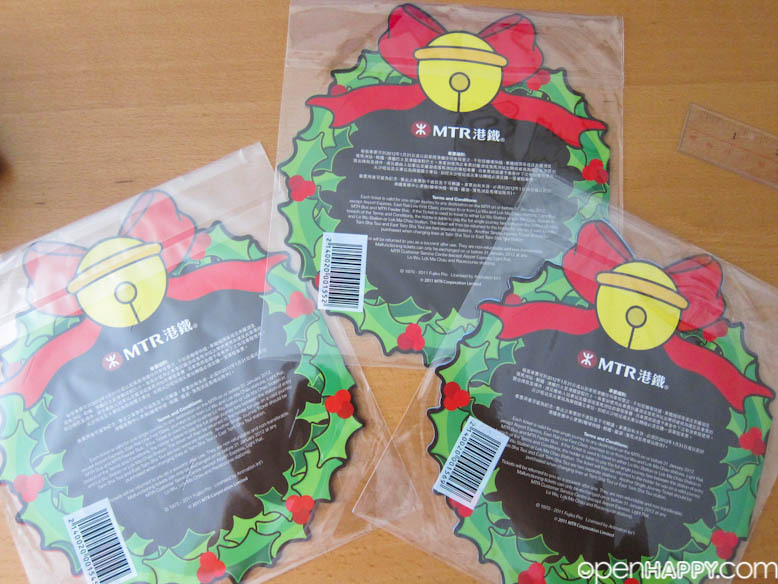 There are three things per set that you will get. 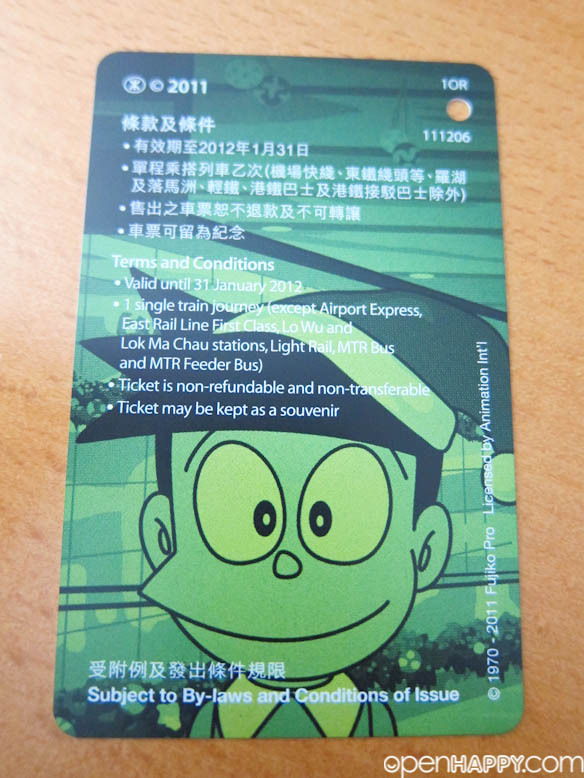 Once decal card, one ticket and one warm hand pocket. 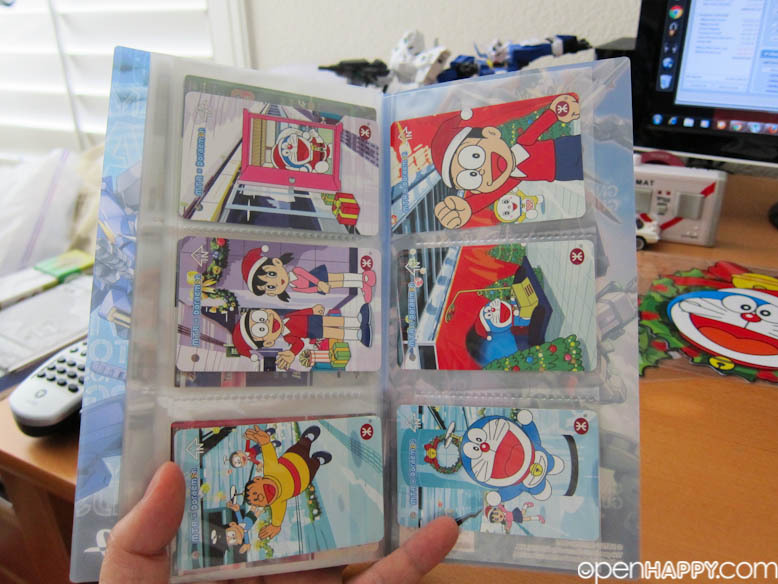 They are on sale for three different weeks and you can collect them all. 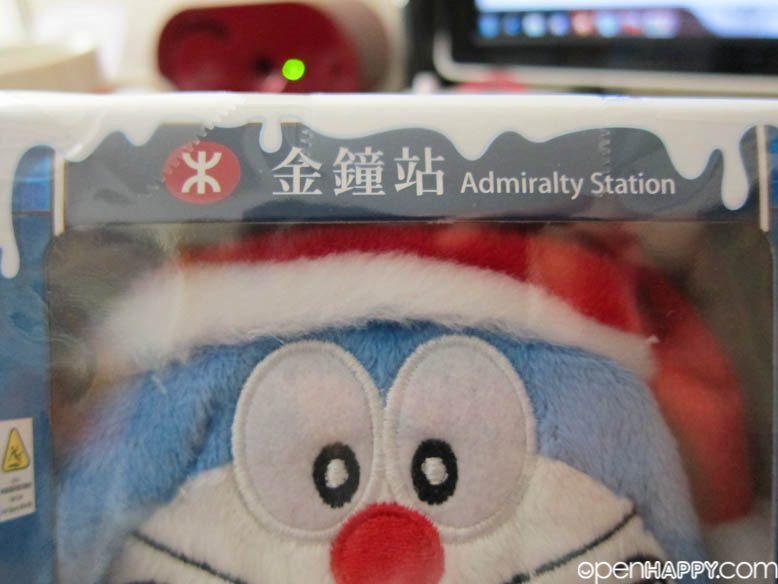 These items are quick popular so a few of the stations sell out every quickly. 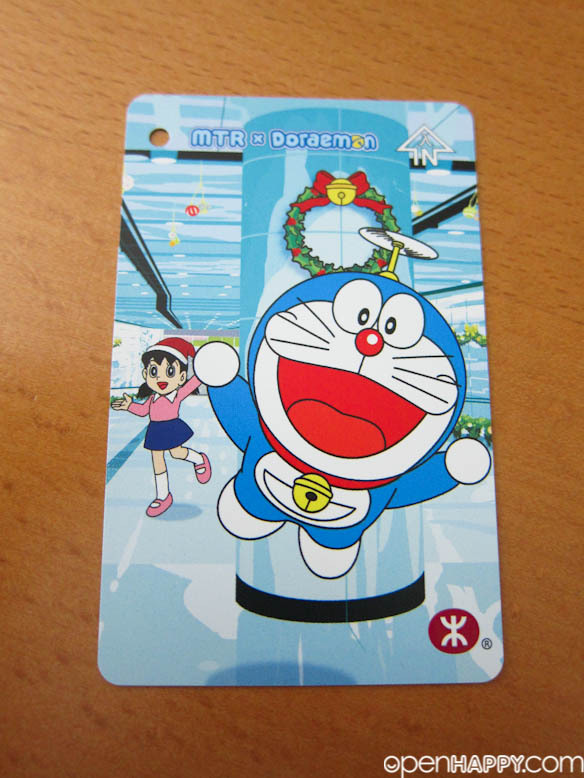 You need to store the tickets somewhere, so I got a card holder for them (among other stuffs). 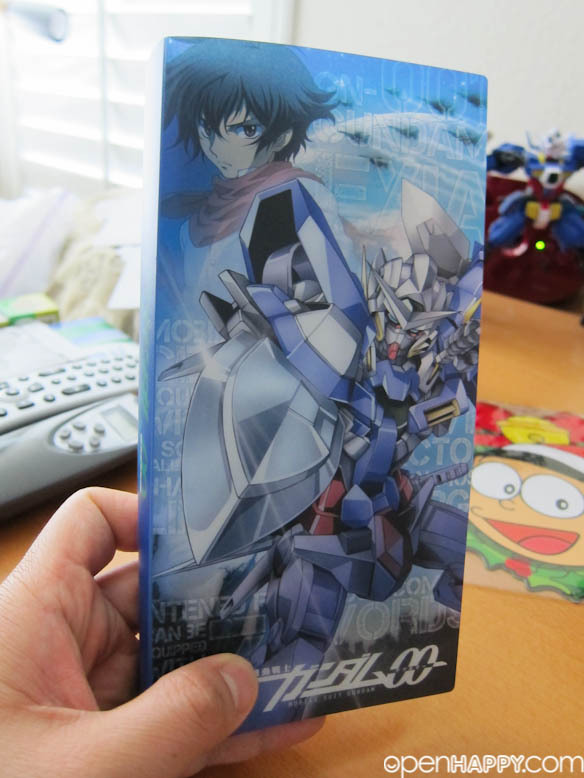 Haha, it is a gundam 00 card holder. 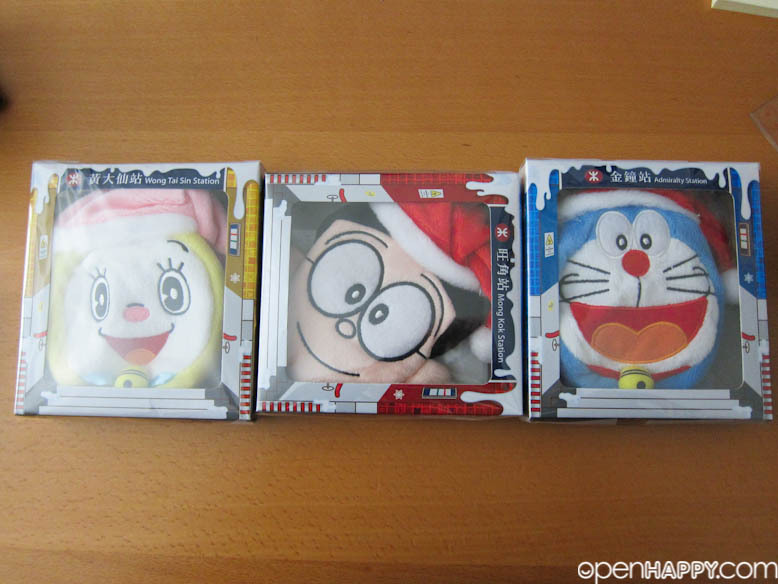 My wife wrapped all the pockets, so they can collect dust somewhere else in the house. 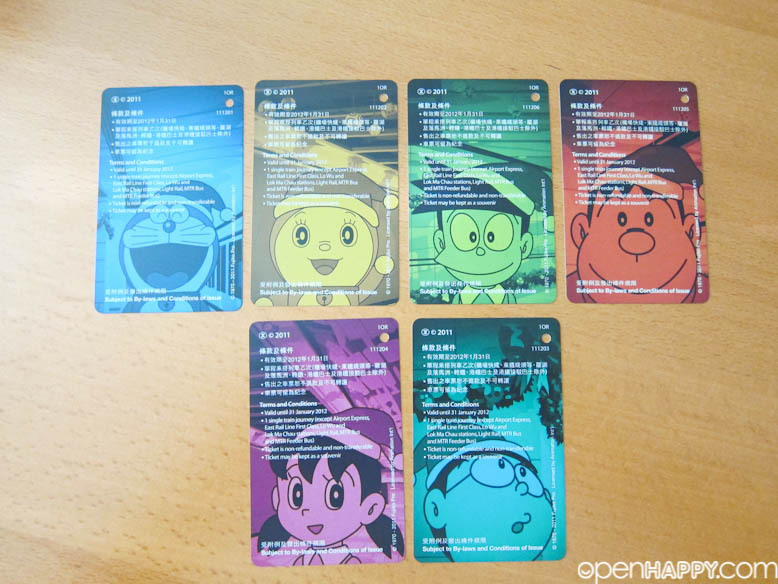 Fun and if you are collectors, they are pretty good value.